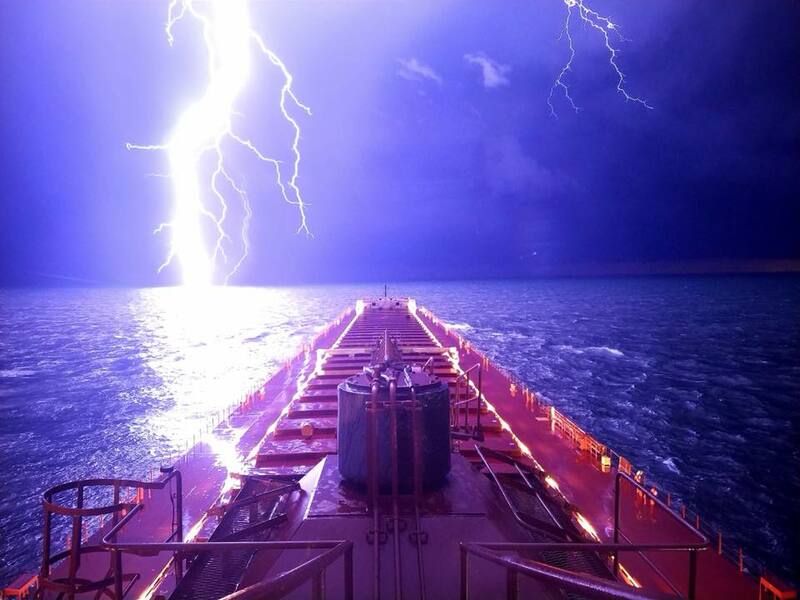 DULUTH, Minn. – This incredible photo was taken by mate, Jack Brandenburg of Sturgeon Bay, on the Mesabi Miner ore boat on his cellphone just as lightning struck down near the 1,004-foot long ship. Brandenburg says he captured the shot on his Samsung cell phone using a long exposure. The boat was sailing down Lake Michigan loaded with iron ore from Duluth and headed to Indiana. The boat is owned by Interlake Steamship Company which has a fleet of nine working freighters that deliver bulk raw material to more than 50 ports on the Great Lakes. They sail from March to January to deliver close to 20 million tons of cargo a year for the power generation, steelmaking, and construction industries.